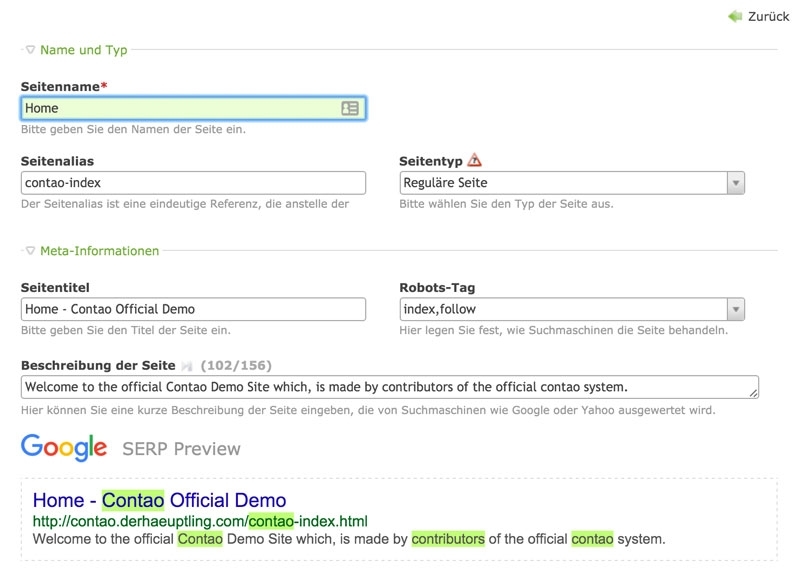 Contao SEO SERP Preview - shows how pages, news and events could look like in search engines. Shows a preview of how pages, news, events and Article Teaser if enabled will look like in search engines. Overview thas analyses the whole website. Sometimes customers are not aware why they should take care of meta data and what they will result in search engines result pages. SEO SERP Preview generates a preview of how Contao pages, news, events and Article Teaser will look like in googles search results. The menu entry "SEO SERP" outlines missing or wrong entries.